It began in 1975, when the State Office of Historic Preservation asked Mendocino Historical Research Inc. (now Kelley House Museum, Inc.) to inventory historic properties and sites in Mendocino. Dorothy Bear and Beth Stebbins compiled the original resource materials and documentation of historic structures in the town of Mendocino. Updated in 1999 by Eleanor Sverko, the collection surveys 86 buildings and sites and includes photographs, histories, site maps and real estate transactions. The Kelley House Archive now represents over 150 years of Mendocino coastal history with one of the most comprehensive collections for researching and understanding its past and present. Our collection includes approximately 9,500 entries of maps, documents, books, photographs, oral histories and artifacts and 8,200 names. Our expert staff is available to help you research family history, find out more about the historic houses in the town of Mendocino, or learn the many fascinating stories of the people who created our unique Mendocino history. The Research Library includes books and periodicals, files on families, towns and local subjects, telephone directories and copies of the Mendocino Beacon beginning in 1887. Unique periodicals include the Mendocino Robin, Ridge Review, Country Women, and Big River News, to name a few. 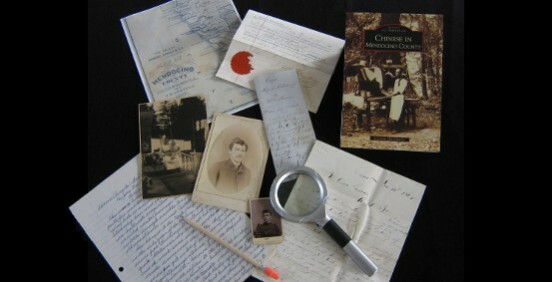 The Kelley House Genealogy resources consist of photographs, news clippings, obituaries and family documents. Also available are Census records, voter records, school registers and “Births and Deaths on the Mendocino Coast” from 1889 – 2009. Donations: Our archives are the result of the many donors who have enhanced the collections over time with their generous donation of family treasures. 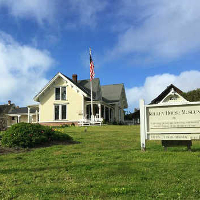 If you wish to preserve old photos or artifacts relating to the rich history of the Mendocino Coast, consider donating them to the Kelley House Museum. Contact us at: info@kelleyhousemuseum.org or at 707-937-5791. While the museum has been collecting since 1973, at present, only a quarter of the collection is available through our database. We continue to add to the number of items for on-line reference as our resources will allow. Consider becoming a Patron and working with our archivist to create a unique collection that has meaning to you.